Sock knitting yarns are usually 4ply, but are also available in other weights. Many of the yarns are self-patterning with the design appearing as you knit! Sock yarns generally contain 75% Wool for comfort and warmth and 25% Nylon for durability. 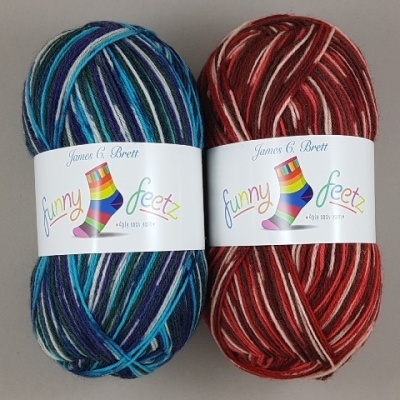 self-striping and hardwearing – perfect for socks. Rico Superba Tweed 4 Ply - Self-patterned with random 'tweed' effect ..